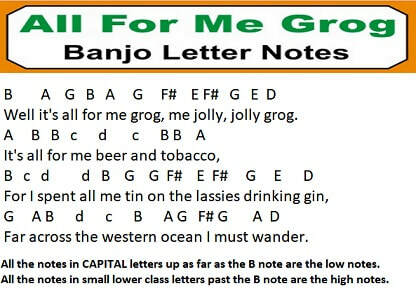 All For Me Grog is a traditional Irish song. It was recorded by The Dubliners with Sean Cannon on vocals. Also recorded by The Clancy Brothers with Tommy Makem, and by Jolly Rogers. I suppose you could call it a Sea Shanty.